1. This machine adopts the material shelf with a style of cantilever and opening umbrella to put material with no dynamic force. It can adjust the end of the screw mandrel of the material shelf to fit in with steel of different apertures. Easy to operating and its speed of putting materials and the main mounding machine is in phase. 2. This machine adopts Seven Rolls level correction, roll arbors adopt high-quality alloyed steel 40Cr, made with a heat treatment, and it has a perfect effectiveness of level correction to defect band steel. 3. 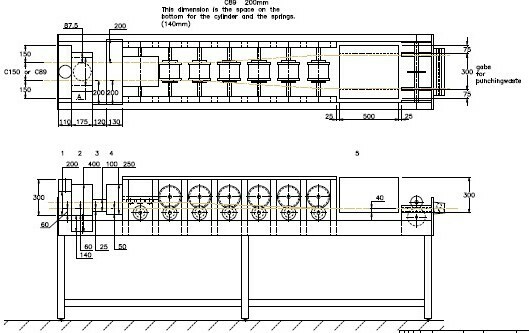 The roller of the principal machine adopts the bearing steel GCr15 to strike, distressing to annealing, quenching, tempering, and Parkerizing, such heat treatment process. The surface hardness reached HRC60 degree. All the rollers are made by the numerical control lather, and this guarantees the accuracy of the roller’s sizes and prolongs its working life. 4. The set of machine change the specification by using semicircle retaining ring to adjust. It is convenient for the workers to operate them. 5. Punching structure is of a high-degree automatically system, under the control of computers which have been set beforehand, it can finish wherever technical punching with ease. What it adopts is professional model material Cr12 and cooling model, it will stick to the automatic cooling techniques. the control of the computer. It consists of fluid drive, confectioning, sheared edge and blade adapter. The sheared edge adopts cold-punching mould steel which are processed by the process flow strictly. The results of shearing have a good shape of the head face, low costs, high precision of the sizes, etc. It is the most ideal way of shearing of all the forms. 4. The material of the roller: use the excellent hammered steel Cr15 to be quenched as a whole, then to process by numerical control. 5. The material of the principal axis: use the excellent steel No.45 to process. 8. Drive-by-wire system: The whole machine uses the PLC industrial computer to control by frequency conversion. 11. Accessories: one set of the stacking shelf, one set of leveling mechanism, one set of punching and cutting mechanism, one set of hydrodynamic station, one set of computer control system (Panasonic programmable PLC, touchable display screen, a series of Panasonic transducers, and OMRON encoder) a set of material shelf. (4) Length inaccuracy can be amended easily. a. 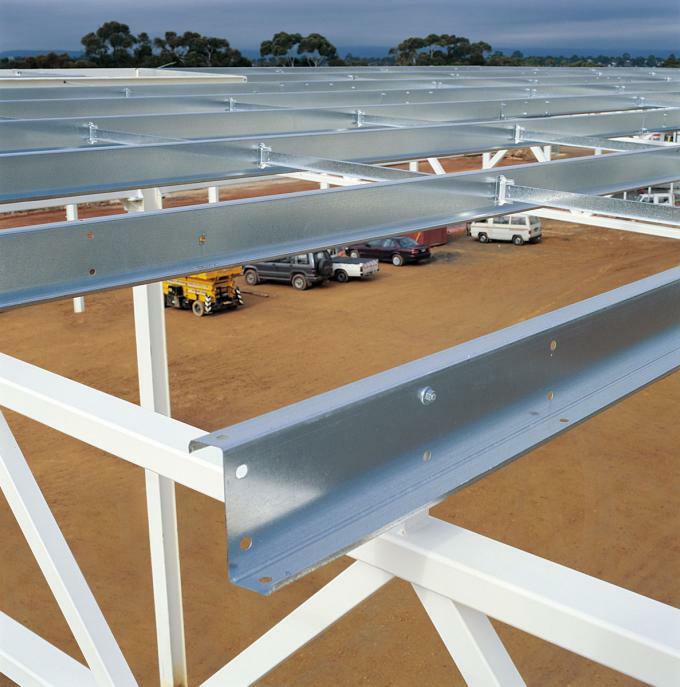 Simple structure & beautiful appearance, because we adopt the shape-steel structure and process as a whole after welding. It has the ability of strong loading and stable operation when running the machine. b. 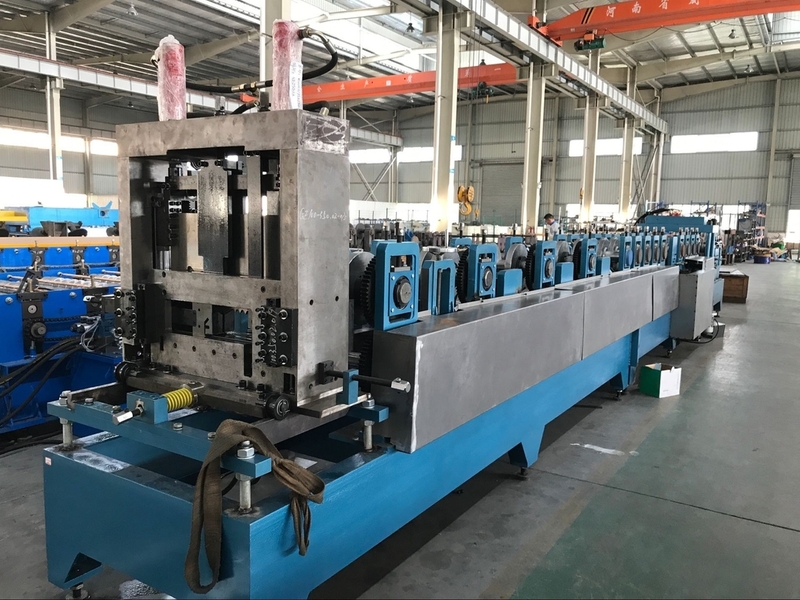 All the components of machine are from brand-famous enterprise so that they ensure the machine normal function very effectively. c. We adopt the automatic length-fixed forming and cutting to guarantee the length to be precise and the finished product clear without deforming.